Traffic Lights « Troubles Don’t Last, You Do! 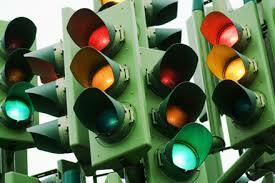 Traffic lights tells you when to go, stop and slow down. Those lights guide you safely across intersections and highways. Sometimes you advance with caution. Ignoring its colors is harmful to you and others. When you ignore those lights, you hit those life’s crossroads. Similarly, the Word of God guides you through your troubles. If you listen and adhere to it, life is good. If you ignore the warnings and enter damage zones, your troubles begin. Troubles Don’t Last, You Do! is like a traffic light. It directs you through your red times, green-go times and when to be cautious. Get your copy today and recognize its signs. It’s a biblical guide to surviving life issues. I love this!!! Sooo encouraging! I love the examples you used.